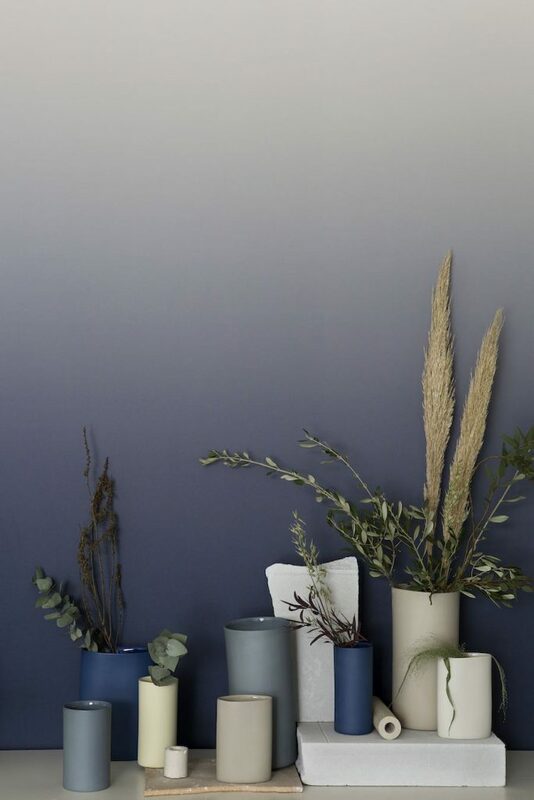 STILL LIFE by Calico Wallpaper, Ladies & Gentleman Studio and MUD Australia – Photo by Lea Anouchinsky unless indicated otherwise. 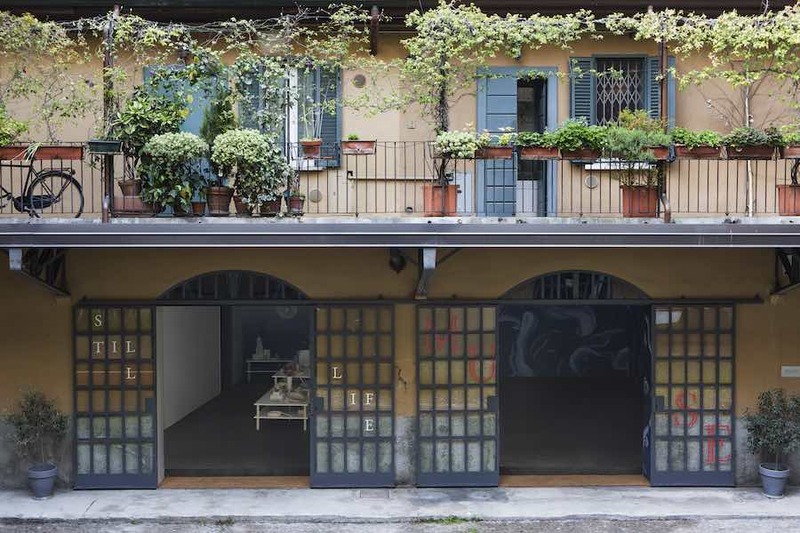 Milan 2019 – Calico Wallpaper teamed up with Ladies & Gentlemen Studio and MUD Australia to present STILL LIFE, an peaceful installation in an exquisite Milanese residential courtyard exploring the possibilities that lie between stillness and life. [April 9-14 – Via Maroncelli 5/7]. 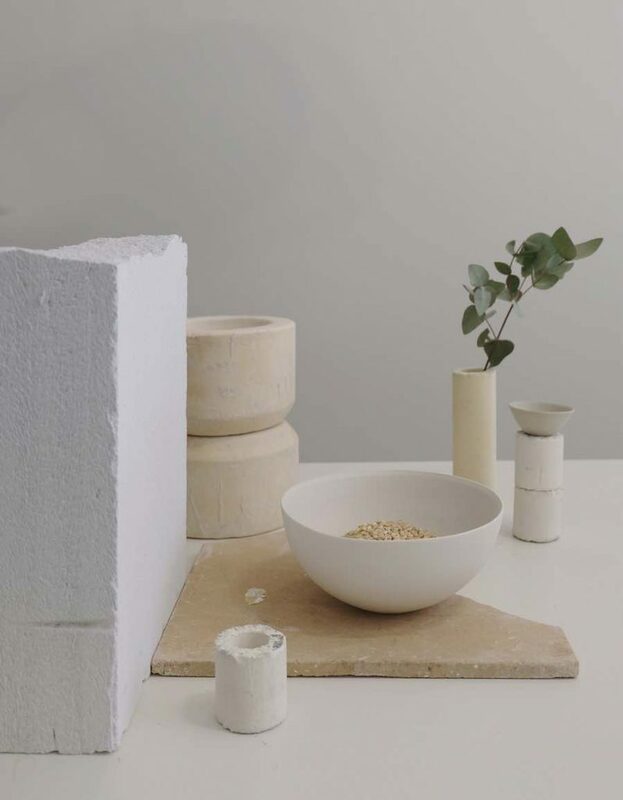 “A series of visual-sensory vignettes weave natural materials with original design works to rejuvenate a sense of tranquility and inspiration,” explain Dylan Davis and Jean Lee of Ladies & Gentlemen Studio. 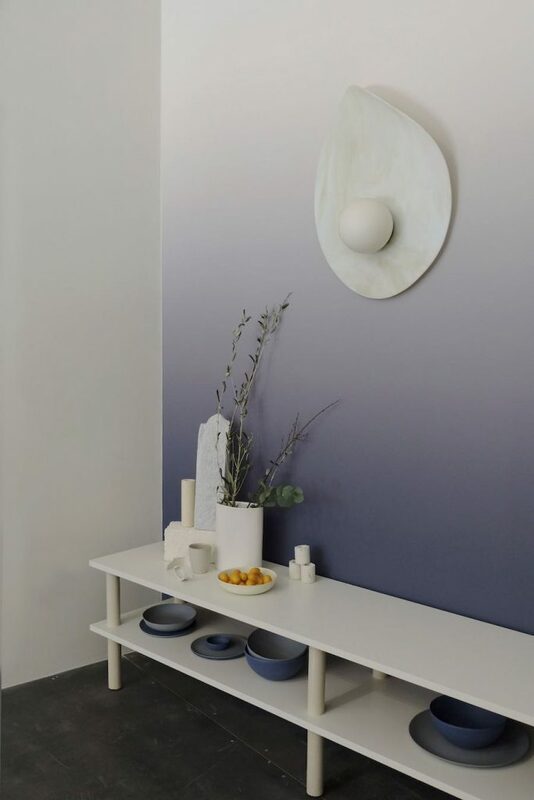 For the STILL LIFE installation, Calico Wallpaper developed a site-specific custom gradient of their Auroraseries integrated into the gallery’s focal wall. 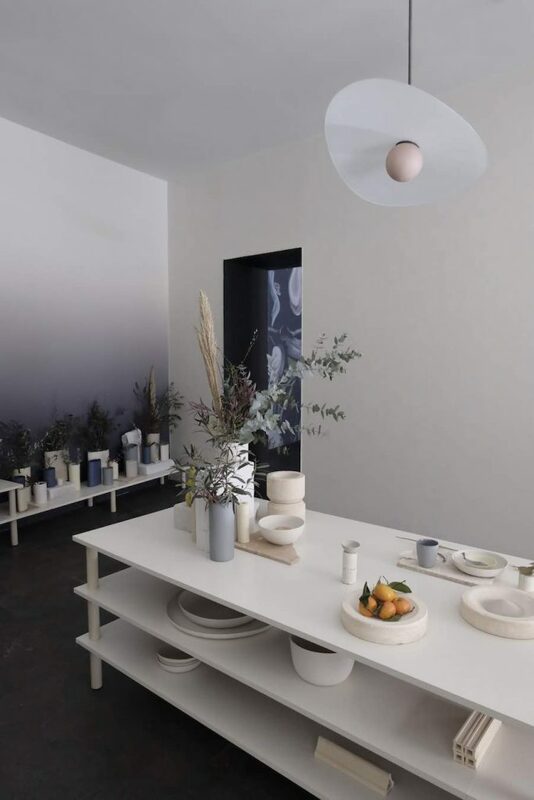 “The new design aims to create a meditative backdrop evoking a vast landscape that ushers visitors to a place of transcendence,” explain at Calico Wallpaper. Often used in meditation rooms, Aurora immerses viewers in waves and washes of atmospheric hues. 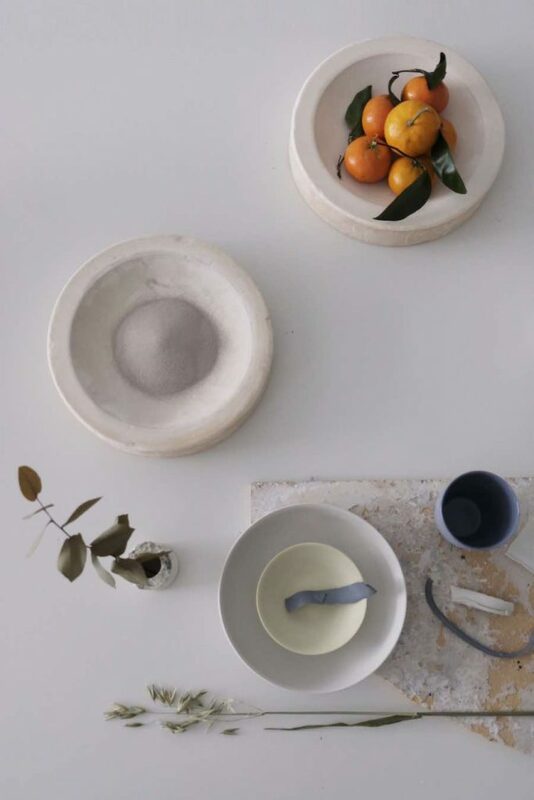 “Drawing heavily from shibori and ombré fabric-dyeing techniques, the collection is rooted in the idea that colour has a significant impact on how you feel within a space”. 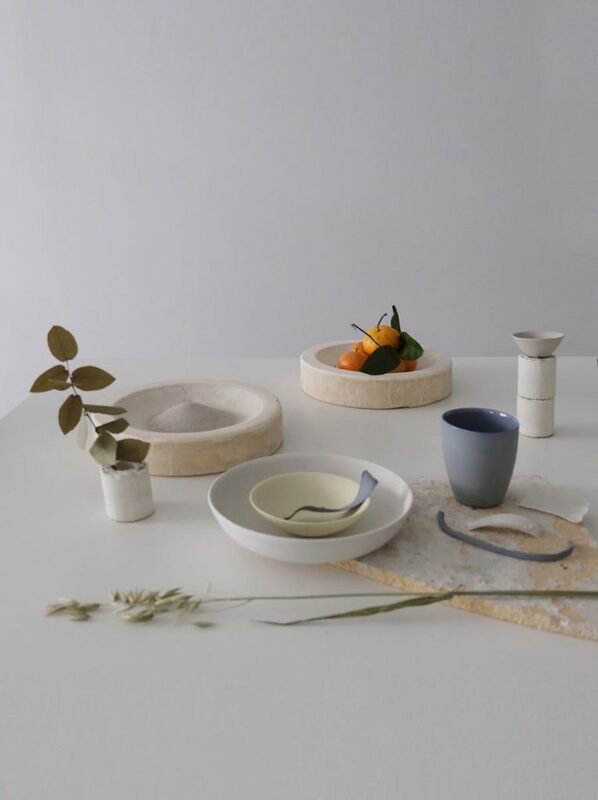 The spatial concept for STILL LIFE was designed by Ladies & Gentlemen Studio. “We envisioned a space that embraces a dual state of tranquility and vitality. 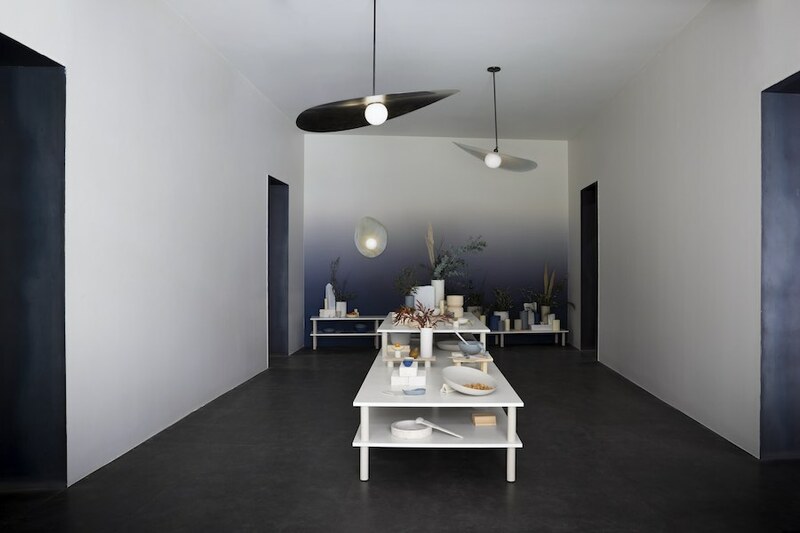 The result is a calming yet enriching environment that opens the senses to elemental possibilities: a momentary day dream, a fond memory, or a chance for conversation,” explain L&G’s founders Dylan Davis and Jean Lee. 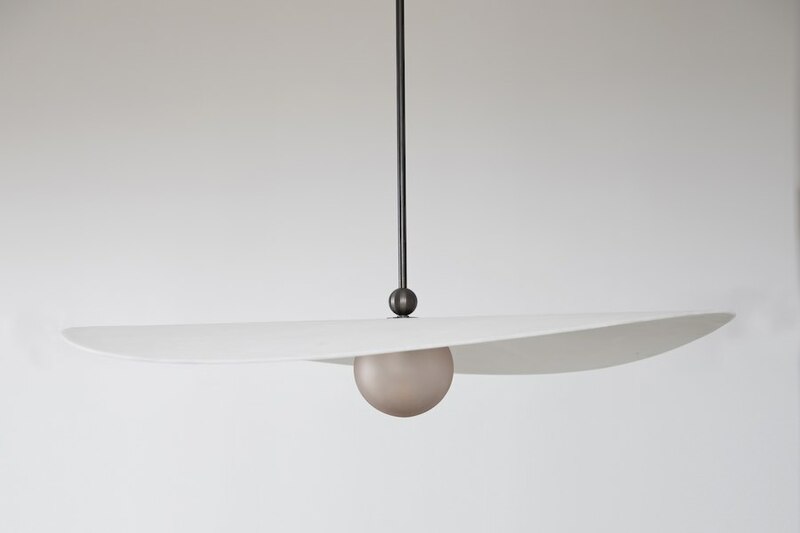 Myrna Pendant by Ladies and Gentlemen Studio – photo Charlie Schuck. 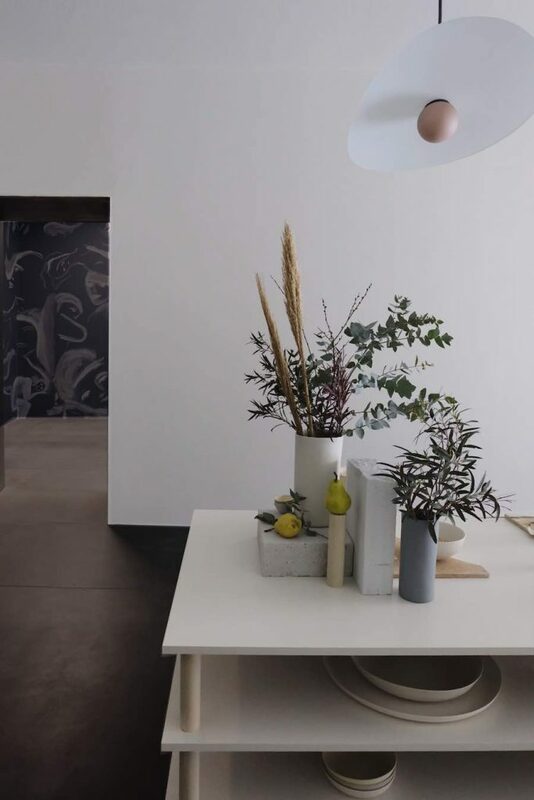 On show Myrna, the studio’s new lighting collection: an elegant and sinuous ‘hat’ shelters a luminous glass globe. The series was inspired by wide brim hats worn by silver screen siren Myrna Loy and other 1930’s divas and is available in a variety of sizes, wall mount and flash-mount forms. All photos: courtesy of Ladies & Gentlemen Studio.